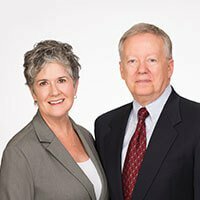 Learn More About Your Law Team | The Pearson Law Firm, P.S. Without a doubt, you’ve just suffered through one of the most devastating experiences of your life. Any type of physical injury is sure to have an adverse impact on your day-to-day life, no matter how big or small. Be it a broken arm or a traumatic brain injury, your routine won’t be back to normal; not to mention, the medical bills that are piling up. It goes without saying that the emotional and mental strain the entire situation has caused leaves you cautious of anyone who may cross your path — and rightfully so. Other parties involved often don’t want to cooperate, including the insurance companies. It seems everyone is just looking out for themselves with little concern for you, the victim. We get how important your well-being is not only for yourself and the quality of your own life, but for the security and needs of those you support. That’s why the first item on our agenda is working for your best interest. It's our primary concern. We do this by first taking out the time to really hear you out; we want to know your story. After we have a clear understanding, we’ll share with you what your options are and let you decide what goal you want to achieve. Of course, you’ll have our guidance, but this is your case — we want to make sure we’re pursuing a resolution you want. From there, we’ll fight hard on your behalf to help win your case. Part of our efforts in this process involves making sure you always know what’s going on and being clear about what we’re up against. There’s always a misconception on how long cases can take to get resolved. The truth is that your injury governs the length of time of your claim. That’s why it’s important for you to stay free of stress as much as possible and put all your energy into healing your body. We could be in this for the long haul. If your case goes to trial instead of settling outside of court, we’re ready to fearlessly stand in your corner. However, we could be working together for longer than you expect. For that reason, earning your trust and building an honest relationship is key for a successful outcome. Sometimes, injuries prevent you from leaving your home or hospital. As personal injury attorneys, we know this. While our office is easy to access, we have no problem coming to you if you’re bedridden and unable to leave your current environment. One thing you’ll come to learn about us is that we have a very good reputation, and we’re not afraid of going to trial. Part of our success is credited to the fact that we are ethical, honest litigators. The case is what it is, after all. We start with the truth. That said, our goal for you isn’t simply to win. We want to position you in a manner that allows you to conduct your life with confidence, clarity, and certainty as you move forward. If you’re ready to get your peace of mind back, give us a call. Located in Issaquah, Washington, we are proud to take on personal injury cases from across the entire state. We have over 60 years of combined experience and take pride in fighting on behalf of those who are unable to represent themselves. Driven by trust and honesty, we work hard to build meaningful relationships with our clients. 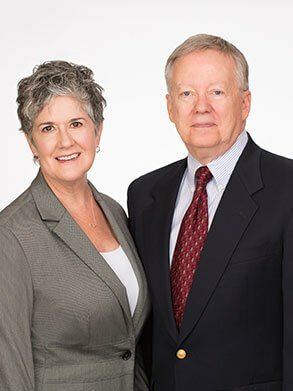 We are available for your legal needs as they pertain to car accidents, brain injuries, nursing home neglect, insurance misconduct, and property damage. Consultations are free. Contact us today.